Join us for an exclusive viewing of the 91st Academy Awards at our annual Oscar Party! 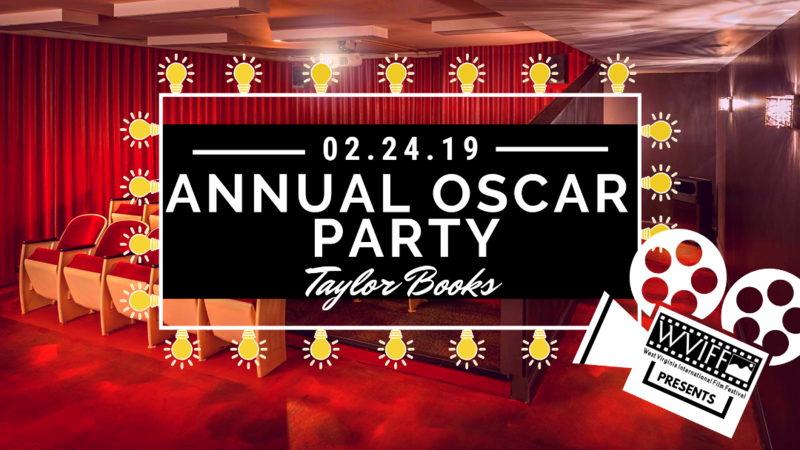 This year Taylor Books, located above our Floralee Hark Cohen Cinema by WVIFF, will host this fun filled evening of film and celebration. Enjoy a large screen viewing of the The 91st Academy Awards ceremony (presented by the Academy of Motion Picture Arts and Sciences), adult beverages, appetizers & snacks, and more! Dress is casual, but your best evening attire or extravagant accessories are encouraged if you are looking for the full Hollywood effect.